J & A Ranch specializes in dove, hog and spring turkey hunting. The ranch is located in the main dove migration flyway. Because the birds are migratory, the numbers will vary from day to day, and I make every effort to make our fields attractive to the birds. 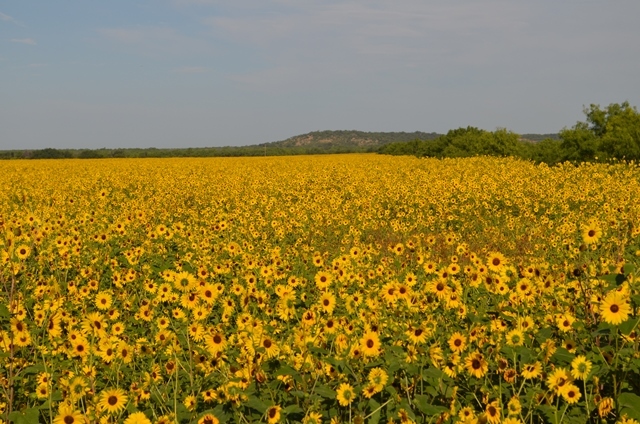 There are four sunflower fields that are 35, 42, 62, 117 acres, and 14 ponds on the ranch. Some of the ponds are around the sunflower fields. The fields are cultivated for dove hunting, and with the help of good spring rains there will be a good stand of sunflowers, wheat and dove weed. Before the season starts I mow and plow hunting strips in each of the fields. I work year-round to provide the best opportunity to harvest doves. There are several options for accommodations for hunters including a bunkhouse-style cabin, guest cabin, and RV hookups. Accommodations require advance reservation and are subject to availability. Hubbard Creek Lake is only 12 minutes from the ranch. Our accommodations are ideal for bass clubs, giving your group a place to gather and enjoy the camaraderie before the competition of the tournament. We have boat trailer parking and electricity for charging batteries. The ranch provides a secure location for boat and fishing gear. Copyright 2010 J & A Ranch. All rights reserved.